More than 300 million visitors travel to U.S. national parks every year to experience America's iconic landscapes. But poor air quality in parks may negatively affect visitation, according to a study published in Science Advances by researchers from Iowa State University and Cornell University. 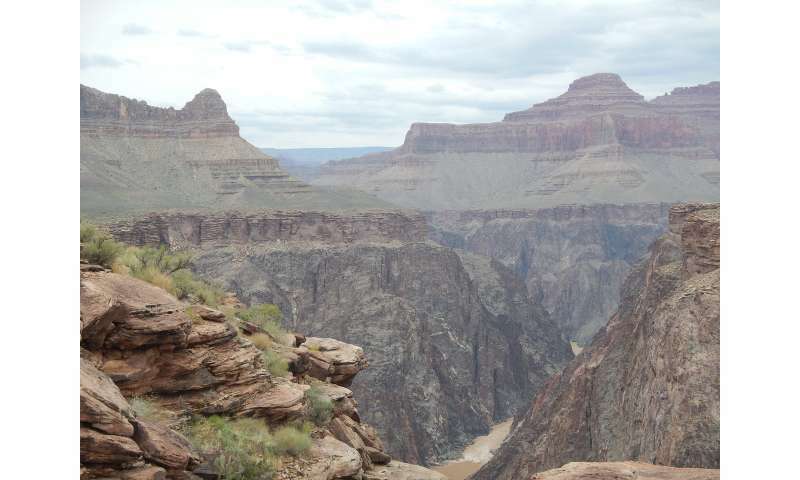 The researchers studied ozone levels in 33 of the largest national parks in the U.S. The researchers found that from 1990 to 2014 average ozone concentrations in national parks were statistically indistinguishable from those of the 20 largest U.S. metropolitan areas—conditions that previously sparked federal legislation. To protect parks, the Clean Air Act (CAA) Amendments of 1977 and 1990 designated national parks as Federal Class I Areas. "The U.S. has spent billions of dollars over the last three decades to improve air quality," said David Keiser, assistant professor of economics at Iowa State. "Given the popularity of national parks, as well as the fact that people go to parks to be outside, we believed it was worth better understanding air quality trends in these areas and whether people, through their actions, respond to changes in air quality in parks." The study found that ozone levels improved in metropolitan areas starting in 1990; however, national parks improvements have only been apparent since the early 2000s, corresponding to the passage of the Regional Haze Rule, a 1999 EPA regulation that strengthened air quality protections for national parks and wilderness areas. The authors first compiled data from extensive ozone monitoring efforts led by the National Park Service and the EPA. Data show that since 1990, national parks have seen only modest reductions in days with ozone concentrations exceeding 70 parts per billion, levels deemed unhealthy by the EPA. 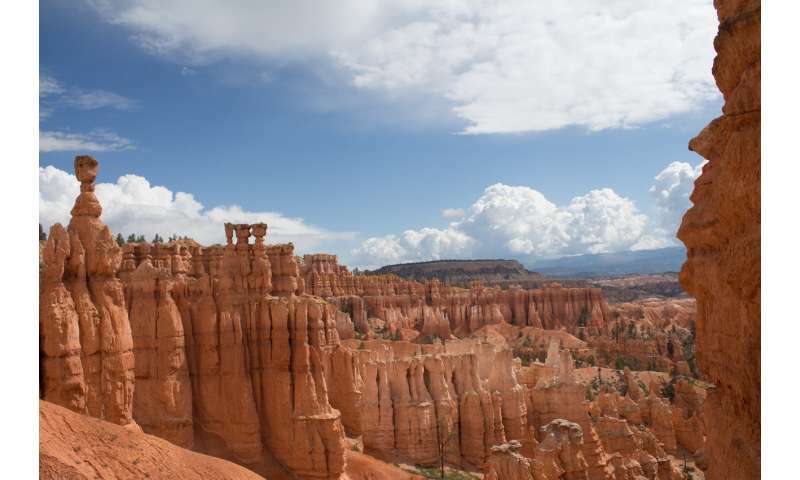 The researchers then matched the pollution data to monthly park visitation statistics at 33 of the most heavily visited national parks and found that visitation responds most to ozone during months with poor air quality. Unsurprisingly, this response is largest in summer and fall, the seasons when park visitation is highest. They also explored two potential causes for this result: air quality warnings (AQI) issued by parks and poor visibility. They found that the visitation response is more strongly associated with potential health warnings and less correlated with visibility. A recent survey found that nearly 90% of respondents had visited a national park area in their lifetime, with one-third of respondents anticipating visiting a park in the coming year. In spite of improvements over the last two decades, air quality in many national parks remains unhealthy for sensitive groups on average for two-and-one-half to three weeks per year. Indeed, despite the decrease in visitation found by the authors during months with poor air quality, an estimated 35 percent of all visitor days occurred when ozone exceeded the 55 ppb "Moderate" AQI threshold, and nearly 9 percent of visitor days when ozone levels exceeded 70 ppb. Exposure to these elevated ozone levels has important health implications—visitors have an increased chance of adverse health outcomes, including hospitalization, respiratory symptoms, and mortality for sensitive individuals. The number of park visits suggests potentially large human health benefits to further air quality improvements at national parks and elsewhere.